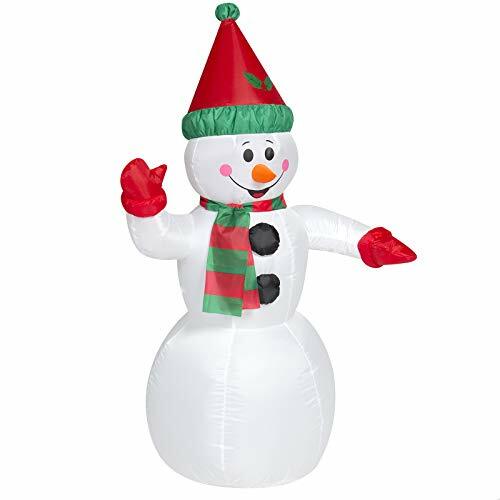 Take holiday decor to the next level with an inflatable snowman that brings life to the home. This pre-lit, 4-foot figure draws the attention of guests and passersby with a built-in blower and included ground stakes that keep it standing tall all through the night. When the happiest time of year comes to an end, deflate it in minutes for easy storage until the next holiday season!